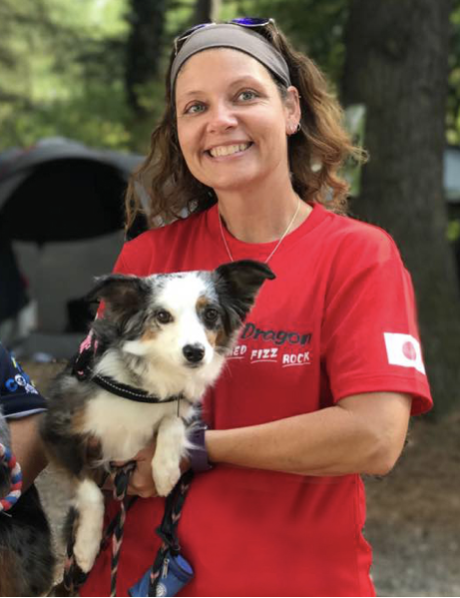 Ami Sheffield and Pixel, from Omaha, Neb., have had quite the winning year in dog agility on the Road to Cynosport®. To name just a few highlights, their IFCS world team won a bronze medal in Milan, Italy, in April; they took home five gold medals at the Masters Challenge Agility CupSM in August; and they’ve earned a spot on the 2019 IFCS World Team headed to the Netherlands next April. This will be Pixel’s fifth trip to Cynosport®; Sheffield has been attending since 2011. She said she is looking forward to seeing friends from far and wide at the event, as well as taking in the sights along the way. “I’m going to drive out to Arizona and hit up some National Parks and enjoy the west on the way out there. Pixel and my new puppy will be accompanying me,” Sheffield said. When she’s not training or competing with Pixel, Sheffield works in Enterprise Learning for Conagra Brands.